A snake will sometimes bite in self-defence if disturbed or provoked. Most snake bites occur when someone accidentally steps on a snake while walking in the countryside. Some snakes are venomous and can inject venom containing toxins as they bite. A bite from a venomous snake is a medical emergency because it can be deadly if not treated quickly. In the UK, adders (pictured above) are the only venomous snakes found in the wild. People also keep foreign (exotic) venomous snakes, sometimes illegally. Exotic snakes have been known to bite while being handled carelessly, or when they escape from their cages. There's also a risk of being bitten while travelling abroad to tropical countries. Dial 999 immediately after being bitten by a snake to ask for an ambulance, or go straight to your nearest accident and emergency (A&E) department. You should give healthcare professionals a description of the snake to help identify it. You may be admitted to hospital so the bite can be assessed and your condition closely monitored. Venomous snakes can sometimes bite without injecting venom. This is called a "dry bite", and it causes mild pain from the snake's teeth puncturing the skin as well as anxiety. 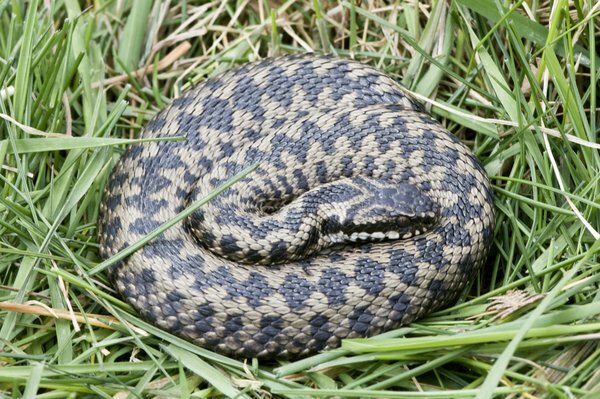 If, after an adder bite, there are no other symptoms, such as swelling, it's probably a dry bite. You should still visit your nearest accident and emergency (A&E) department as signs that venom has been injected might not appear until later – up to two hours or more after an adder bite, or even longer after an exotic snake bite. 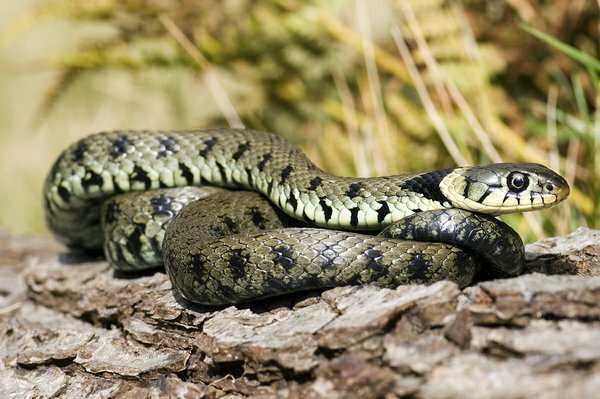 Adder and foreign snake bites can cause similar symptoms. Dial 999 to ask for an ambulance if someone is bitten by an adder or foreign snake and faints or develops symptoms of anaphylaxis. In a small number of people, a snake bite can trigger a severe reaction, known as anaphylaxis or anaphylactic shock. This can occur immediately after a bite or several hours later. Anaphylaxis should always be treated as a medical emergency. Left untreated, anaphylaxis can be life threatening. Someone who's been bitten by a snake may go into shock. Shock is a life-threatening condition that occurs when there's an insufficient supply of oxygen to the body. Shock should always be treated as a medical emergency – you should dial 999 to request an ambulance immediately. After calling an ambulance, lay the person down and raise and support their legs. Use a coat or blanket to keep them warm. Read more about how to treat shock. If you're bitten by a snake, visit your nearest accident and emergency (A&E) department, or dial 999 to request an ambulance. In most cases, you'll need to stay in hospital for a short period after a snake bite. This is so staff can keep you under observation in case you develop symptoms that suggest venom has been injected. As a precaution, you may be asked to stay in hospital for at least 24 hours so your blood pressure and general health can be monitored. Antivenoms are antidotes to snake venom and are used to treat more severe snake bites. They contain antibodies, which are proteins that neutralise the effects of the snake's venom toxins. In some people, antivenoms can trigger a severe reaction called anaphylaxis, so it's important you're closely monitored after receiving this treatment. Anaphylaxis is treated with adrenaline. Because of the risk of anaphylaxis, antivenom should only be given by a qualified healthcare professional. If the snake bite is severe and your blood pressure has fallen significantly, you may need intravenous fluids administered directly into a vein in your arm. You may also need a blood transfusion if you've lost a lot of blood. Recovery times for snake bites can vary depending on the species of snake involved. In most cases, children bitten by an adder will make a full recovery in one to two weeks. Adults usually take more than three weeks to recover fully, with a quarter taking between one to nine months. Early treatment with antivenom can reduce these times. During the recovery period, you may experience episodes of pain and swelling in the area that's been bitten. These symptoms can usually be controlled by taking over-the-counter painkillers, such as paracetamol, and continuing to exercise the limb. If you're bitten by a snake while abroad, you should assume it's a medical emergency and contact the relevant emergency medical services. If you're travelling to an area where there's a risk of being bitten by a snake, make sure you know how to contact emergency medical services in that country. When travelling abroad, carry a first aid kit that contains medications, such as painkillers, antacids (for indigestion) and rehydration sachets (for diarrhoea). It should also include plasters, non-adherent dressings and bandages, insect repellent, and sun cream. Read more health advice while travelling abroad. Adders have a distinctive dark zigzag stripe down their back. They're quite short, growing up to a maximum of 75cm (2ft 6in) long. Adders have a large head and slit-shaped pupils. Males are usually grey with black markings, and females are usually brown with darker brown markings. However, sometimes adders can be silver, yellow, green or completely black. The adder is common throughout mainland Britain and some islands off the west coast of Scotland, including some of the Inner Hebridean Islands. Adders can sometimes be confused with grass snakes, which are longer (up to 120cm, or 3ft 11in). Grass snakes are green, grey or brown with black flecks or bands, and have a characteristic yellow collar behind their head. They're fast moving and are often found near water. How common are snake bites? There are millions of venomous snake bites each year around the world, resulting in more than 100,000 deaths. The majority of fatalities occur in south and southeast Asia, sub-Saharan Africa, New Guinea and Latin America. Rural farming communities are often affected, where access to emergency medical services is limited or non-existent. In the UK, about 100 adder bites are reported each year. Most bites occur between June and August, with the number peaking during July. 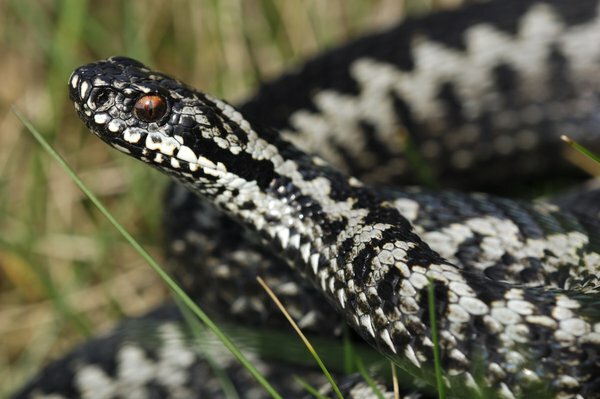 Deaths from adder bites are rare. There have been 14 reported deaths since records began in 1876, with the last death in 1975. Less than 10 UK residents are bitten by foreign snakes each year, either while travelling abroad or by captive snakes kept in this country.